These are Nike and Hilevi's pups and they were getting their first look at the lure. Shelby is in front but seems to be a little more cautious than her sister Pagani who is leaping for the lure. 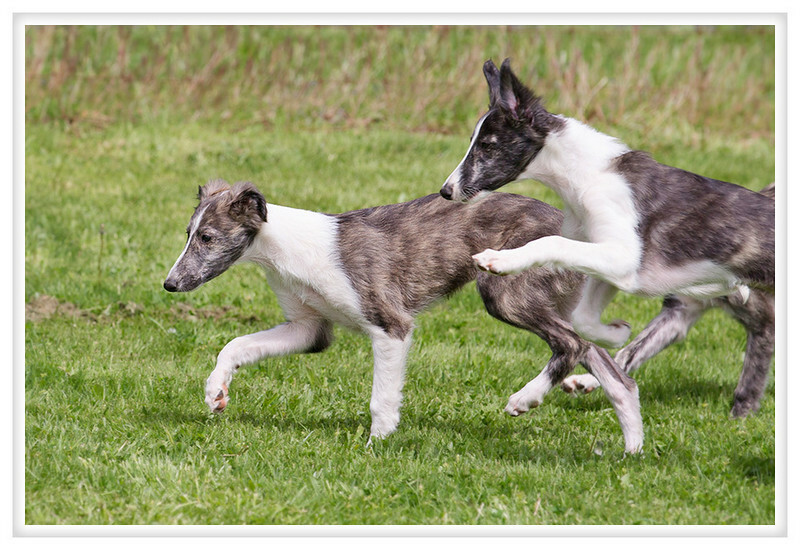 Their natural curiosity will start the chase but they are young so they are only allow to run short distances. With a moving target it is easy to encourage them to strain themselves and cause growth-damaging injuries. They can play until they drop but racing is something you have to grow into.